You are currently browsing the category archive for the ‘Reunion’ category. Those of us who enjoyed another reunion at the Petwood recently will probably recall my wife Shirley-Anne circulating an idea to make the final meeting at North Weald a bit more special with a visit to Stow Maries Great War Aerodrome on Sunday 19th August. More than 30 expressed an interest, so living in the area we have done some research and come up with some possibilities for you. Stow Maries aerodrome is in a very rural location about 25 miles from North Weald, and the nicest accommodation locally is the Chichester Hotel near Wickford, about 9 miles from Stow Maries. They can provide a very elegant private room on Saturday 18th for dinner and entertainment, and all the usual amenities. Based on 30 covers cost would be £33 per head for 2-course set meal including room hire, and overnight accommodation including breakfast at £85 per couple. It is a very pleasant privately run hotel with just 36 rooms, so obviously bookings would need to be made asap. We are happy to manage bookings and monitor the availability etc. on your behalf, but would ask for payment in advance. Information about the aerodrome can be found at www.stowmaries.org.uk, opening times are 1000-1700 and accompanied tours are available. Obviously some people might wish to make alternative accommodation and dining plans but I would emphasise again that there are not many hotels in the vicinity, so an early reservation will be needed for anyone wishing to take up this offer. Please feel free to call or email me if you have any other ideas or need further information. Look forward to meeting you at North Weald. Please return your booking forms by Mid October. Hamish Harvey, John and Tony Oliver, Norrie Bell and Chris Stagg Visiting Dungeness Power Station recently. Friday/Saturday February 23/24 2018 Reunion at Petwood, see links for booking forms. Note; this will be the final official winter reunion. This coming weekend sees our Annual Reunion at the Oxford Abingdon Hotel. There will be approximately 30 of us attending. There will be an official dinner on the Saturday night, 7.00pm for 7.30pm. If any Squadron association members are in the area feel free to join us. If there are enough people interested we will make a decision as to the date at our weekend reunion in February. Please return your booking forms ASAP. The ATC Squadron will be present. We will be meeting at the Gate Guardian at 13.00hrs on Sunday 12th July. 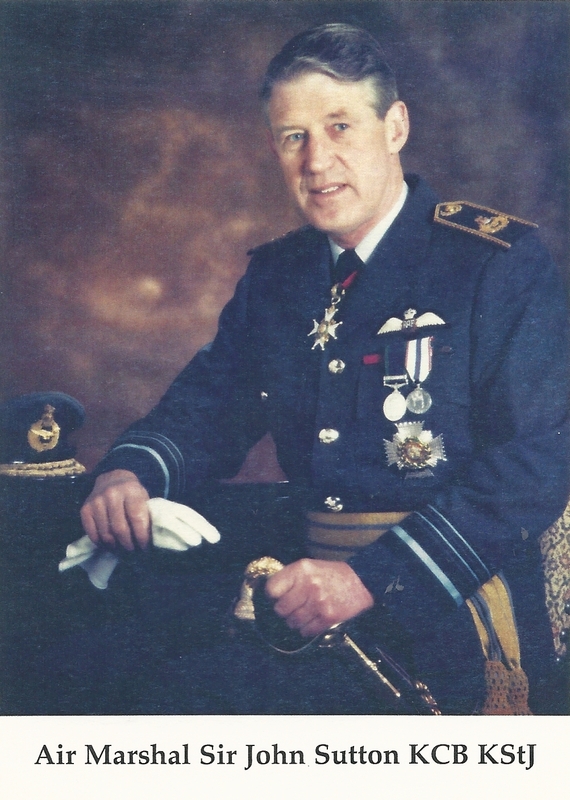 In Memory of Air Marshal Sir John Sutton KCB, KStJ. 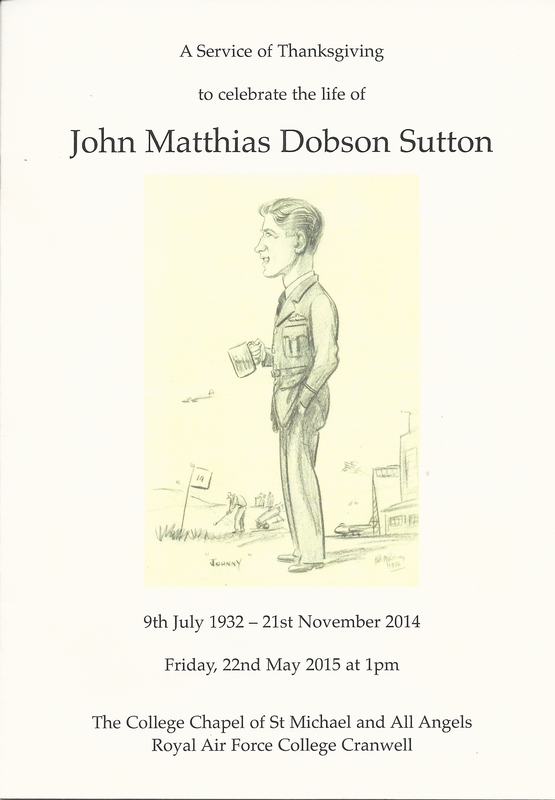 Sir John, you will be greatly missed. Rest in Peace.